For many of George Takei’s fans, it seemed too good to be true. Turns out they were right. 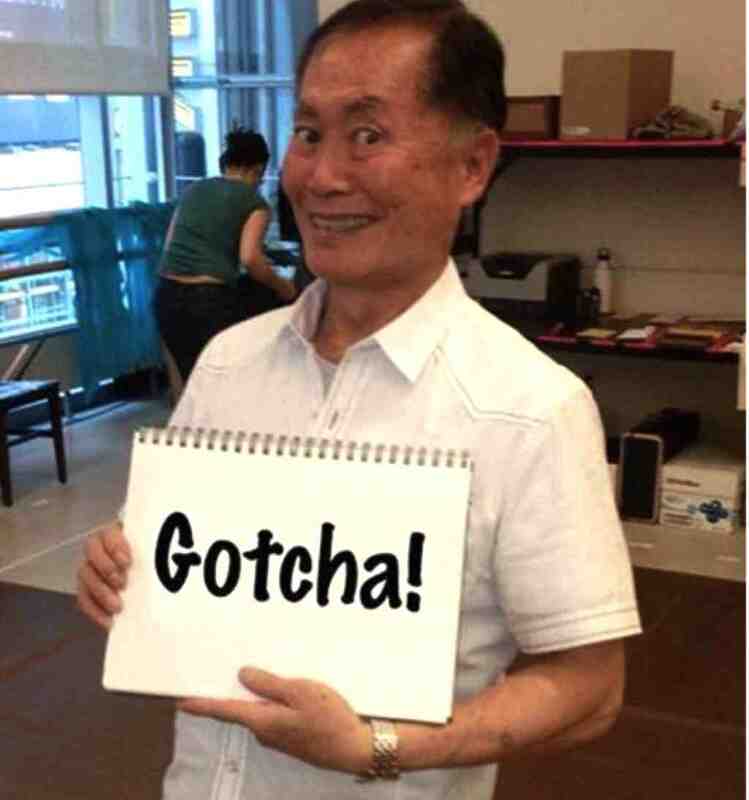 George Takei revealed his April Fool’s joke on social media. Takei, 79, said that he and husband Brad had just bought property in Tulare County, in the congressional district of Rep. Devin Nunes, the Republican chair of the House Intelligence Committee, who has been under fire for his handling of allegations of collusion between Russia and the Trump campaign. Many fans — including Rep. Ted Lieu and actor Mark Ruffalo — expressed support for Takei’s campaign, but The Hollywood Reporter and other entertainment news outlets expressed skepticism about the announcement since it came out just before April Fool’s Day. In 2013, Takei announced that he had been cast in the new “Star Wars” movie, then revealed it was a joke. Some also questioned whether Takei, who lives in Los Angeles and often visits New York — where he appeared on Broadway in “Allegiance” and will star in the upcoming “Pacific Overtures” — would want to spend so much time in a rural, conservative district and in Washington, D.C.
On Saturday, Takei posted this message: “No, sadly, I’m not running for Devin Nunes’ seat in Congress. Happy 4/1! “But Jon Ossoff IS running on 4/18 in Georgia’s 6th District. And he can win! Help him out with a donation at www.electjon.com. “Montana’s at-large congressional seat, Kansas 4th and South Carolina 5th are all also up for grabs soon in special elections.